testo Saveris T3 - 2-channel temperature radio probe (2 × external) | Páratartalom mérő | Páratartalom | Paraméterek | Testo Kft. The temperature often has to be monitored and recorded at two points at the same time. With two connections for external thermocouple probes (TC Type K, Type T, Type J, Type S), the testo Saveris T3 radio probe is ideally suited for this task. The TC characteristics can be freely selected. The large measuring range makes the radio probe universally applicable. The testo Saveris T3 radio probe has a data memory for 6,000 readings per channel. 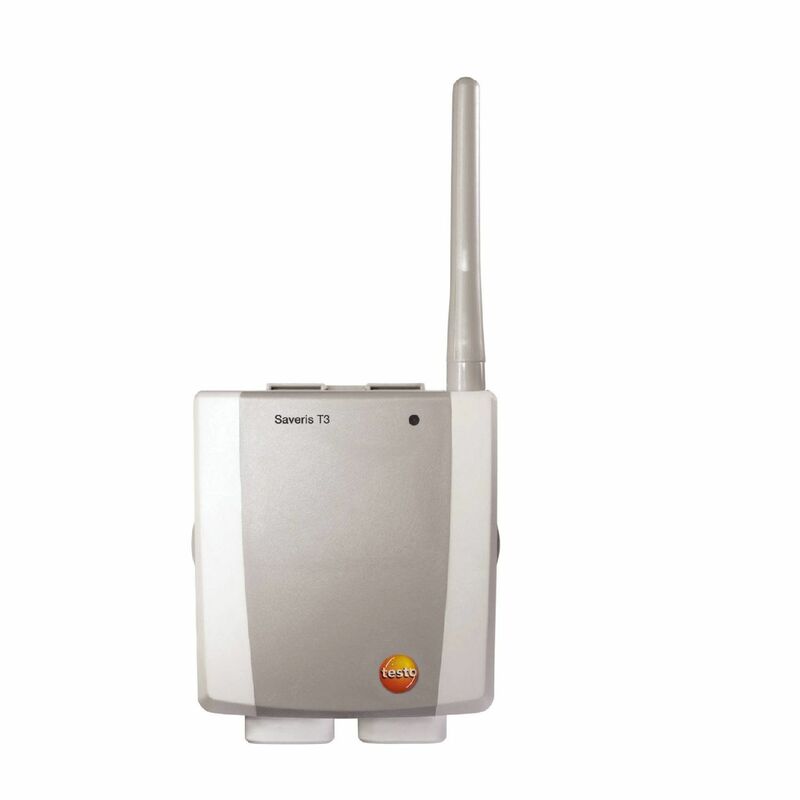 testo Saveris T3, 2-channel radio probe with 2 external TC probe connections, radio frequency 868 MHz, including wall bracket, calibration protocol and 4 × AA alkaline manganese batteries.